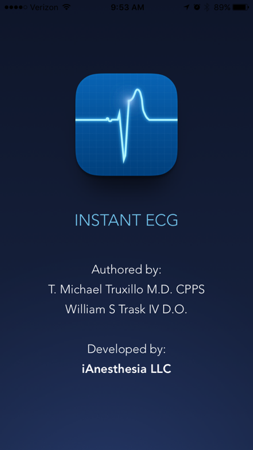 We are wrapping up over a year of work to completely redesign the Instant ECG app. It has long been the #1 ECG app on the iTunes app store and it's about to get better! We will be increasing the price of the app shortly after the launch. So be the first to know when it is live for download and lock in the ridiculously low price of $0.99 before it is too late. Be the first to know when the Instant ECG App is available. Success! You will now be notified immediately when the Instant ECG app goes live on the App Store. Please, check your email to confirm your subscription. © Copyright 2019 iAnesthesia LLC . All rights reserved.